Above is an unusual view, the rear of the M60 showing the PCV (red outline) and vent pipe (blue outline) on the rear of the manifold. The rear cover has been removed on this PCV, revealing burnt oil and a brittle diaphragm The PCV above is pretty typical, the diaphragm is brittle, probably split around the rim, and the cavity is full of burnt oil. The spring in the middle is what sets the crankcase pressure, the inlet manifold vacuum pulls the diaphragm towards the spring, as it moves forward it restricts the central pipe which leads to the manifold, and that reduces the vacuum at the diaphragm. 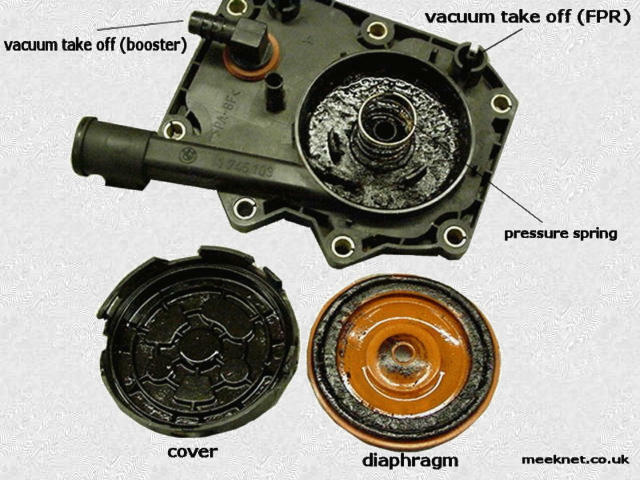 The vacuum on the diaphragm and spring pressure from the other direction regulates the crankcase pressure to 10-15 millibar. A simple manometer made from clear tube with a few cc's of engine oil and stuck firmly in the dipstick tube With the engine idling, the available vacuum in the crankcase should lift 6" of water - that is, a 3" drop and a 3" lift as shown above - the weight of oil is very similar to water and you will get the same readings without the possibility of getting water in the engine. 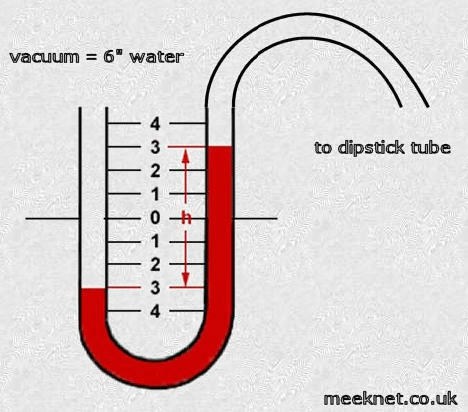 If there is no vacuum, then the oil will stay level, if the vacuum is too high the oil may be drawn from the tube. A reading between 4" and 8" is acceptable. If the reading is outside these readings, or outside 10-15 millibars as read on a vacuum gauge, then it is most likely that the PCV has failed. A very low vacuum may indicate a vacuum leak, but the leak would have to be reasonably large to defeat a correctly working ventilation system. Replacement of the PCV is covered here Differences between M60/M62/M62TUB manifold PCV system There are subtle differences between the inlet manifold's used on the different versions of the modern BMW V8. On the M60, the PCV releases the filtered blow-by gasses directly into the rear of the inlet manifold. 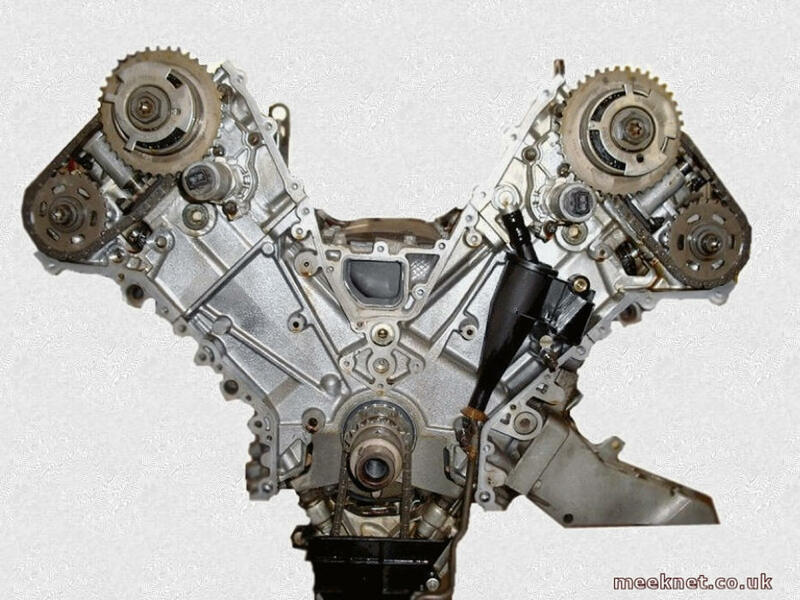 This has the effect of allowing the gasses (which still contain a small amount of oil vapour even on a fully working system) into the rear two cylinders. This can make the rear two cylinders run leaner than the rest of the cylinders - but also receive the greater amount of oil. This doesn't usually cause much of a problem, but does slightly affect the tick-over. 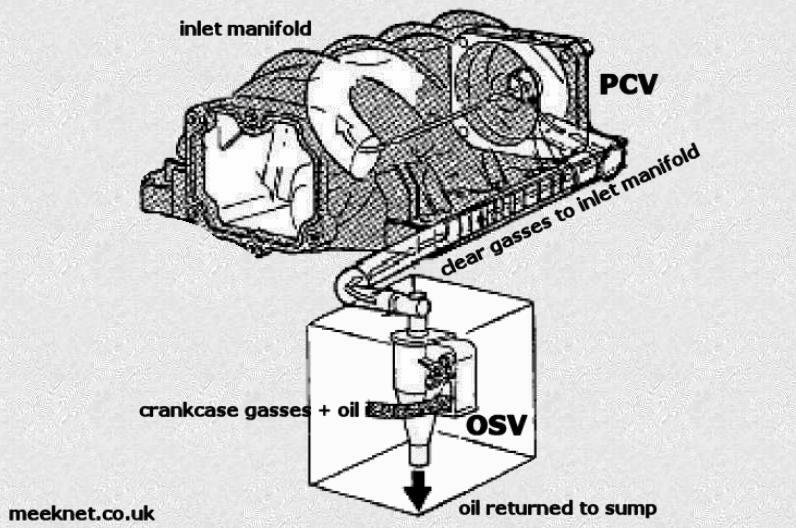 Once the PCV diaphragm fails, the rear two cylinders will get all the oil and usually have the plugs fouled. 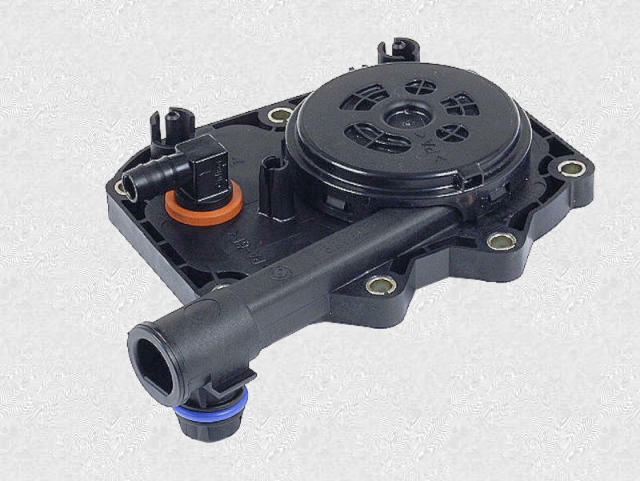 The inlet manifold on the M62 and M62TUB has an additional pipe that runs internally from the PCV to a mixing chamber at the front of the manifold. 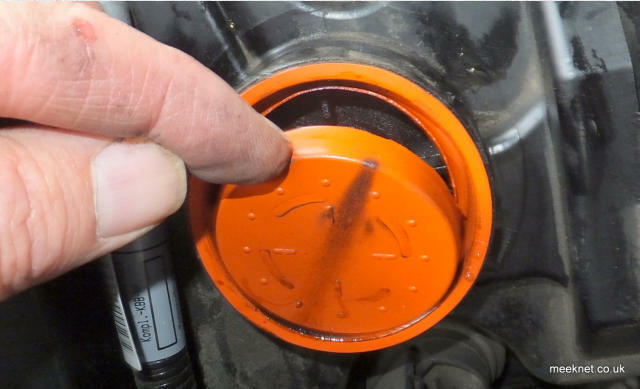 This mixes the blow-by gasses with the incoming air from the throttle body - the intention is to ensure that all cylinders receive their share of the gasses and the small amount of oil vapour from the PCV. In addition to changes in the crankcase ventilation system, there have also been changes to the runners within the manifold. The runners sweep from the central plenum of the manifold in a curve to each cylinder. 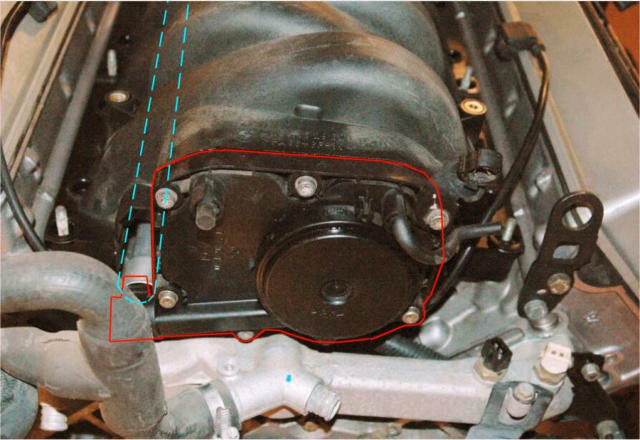 The diameter of the runners have an affect on the performance of the engine. At the most basic level, the smaller the diameter of the runners, the better the engine will perform at tick-over and at low revs, the larger the diameter, the more air is available at full-throttle creating more power. 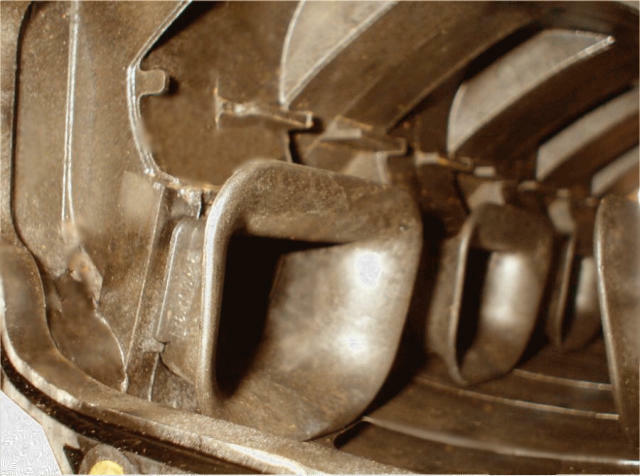 In particular, the diameter of the runners was reduced to increase the velocity of the air in the M62TUB manifold - this was one of the changes to increase the torque at low-revs and to smooth the tick-over. 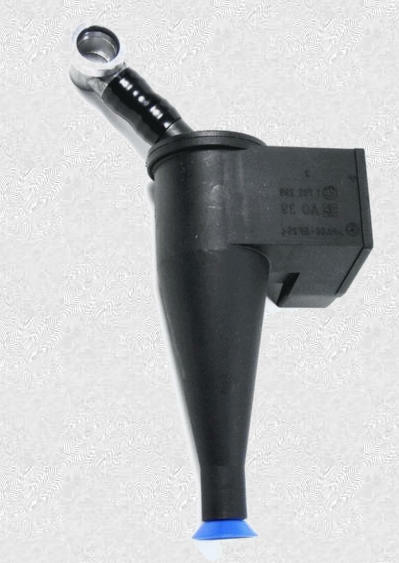 The increased velocity allows the air in each runner to compress rather than remain static when the inlet valves are closed, allowing a predictable charge of air into the cylinder. Where larger runners are employed (as on the M60), the air becomes static in the runner after the inlet valve is closed, and this reduces the available charge as the valves open leading to poor performance at tick-over and low revs. The reduction in runner diameter increased economy, power and smoothness in the M62TUB engine. An internal view of the inlet manifold from an E32 740i - not only large runners but horns as well - a rare find at the scrap yard A popular modification to the M62TUB44 is to replace the original manifold with one from an E32 740i which not only has larger runners, but also has trumpets (or horns) at the start of each runner within the plenum. The intention is to increase the power from the engine at full throttle - and in that, it succeeds. The problem is that the only benefit is felt at full-throttle and at high revs, in all other conditions it reduces the performance of the engine. It uses more fuel, the torque is decreased at low to medium revs, and the tick-over returns to that of the M60 - lumpy! The lack of torque at low to medium revs reduces the acceleration of the 740i fitted with the M62TUB44 engine and the M60B40 inlet manifold, although it does feel more powerful above 4000 RPM. Other problems with the crankcase ventilation system The vent pipe on the M62TUB engines can leak on the flexible joint between the pipe and the OSV connection. This can lead to the same problems as a cracked diaphragm. 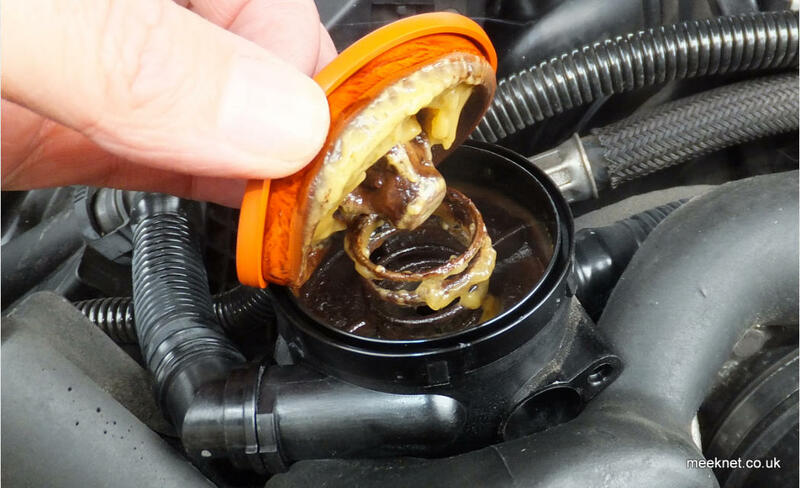 If, after replacement of the PCV, the car fails to start correctly and has wild changes is revs at tick-over, this is very often due to the failure to replace the vent pipe correctly. Often the front end of the vent pipe has failed to fit the OSV union and is just dangling on the block.